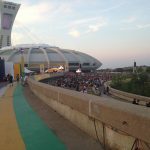 The Montreal Symphony Orchestra’s annual summer concert at the Olympic Park has become a tradition. Led my maestro Kent Nagano, it always attracts a crowd of music lovers. 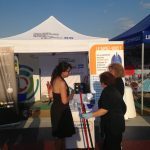 This year on August 10th, the MSO put together a concert to celebrate the Olympic Park’s 40th anniversary. A truly musical celebration to mark an important event and pay tribute to the athletes who competed here in 1976! 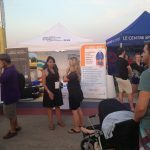 In coloboration with the Montréal East Island Integrated University Health and Social Services Center, the Colorectal Cancer Association of Canada had the opportunity to greet the concert goers and inform them about colorectal cancer screening. 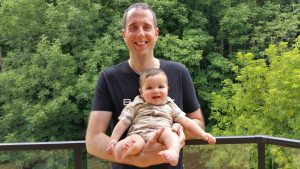 I was diagnosed with stage 4 colorectal cancer in 2011 at the age of 29. Over the past 5 years, I have been through radiation therapy, countless cycles of chemotherapy and several surgeries on my colon, liver and lungs. In addition to traditional treatment, I have embraced a healthy lifestyle and am so happy to be doing well. I have a wonderful wife and we were blessed with the arrival of our beautiful son in January of this year. I am very thankful for the on-going support of our family and friends, and the amazing team of health care professionals who have helped me to get here. After my diagnosis, I wanted to help raise money to fight the disease and support cancer patients. We raised $26,382 over 5 years with the help of our family and friends! “Andrew’s Walk to Support Cancer Patients” was officially launched in 2014. Each year, we select a different organization or endeavour to support. This year, we are pleased to be raising money for the support groups run by the Colorectal Cancer Association of Canada (CCAC). My wife found the CCAC 6 months after my diagnosis. This organization has made a huge difference in my battle against colorectal cancer. 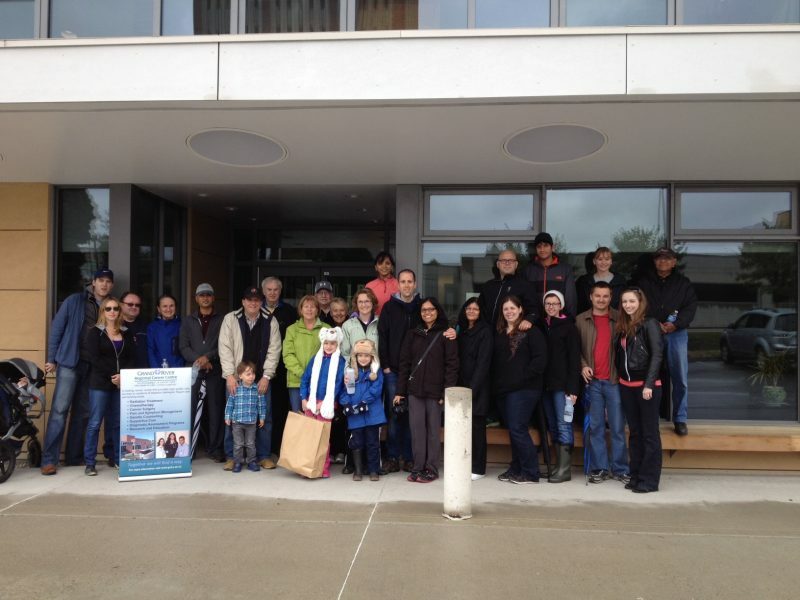 I have attended the monthly Oakville support group meetings on many occasions over the past 5 years. 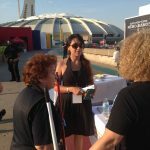 These meetings, led by Filomena Servidio-Italiano, provide me with the knowledge, resources and confidence to ask the right questions, make informed decisions and better manage the treatment of my disease. The CCAC provides a positive and supportive environment where colorectal patients come together to gather information and share their unique experience in this journey. Filomena is always there to listen and provide guidance, and to advocate on behalf of colorectal cancer patients. I am proud to be having “Andrew’s Walk to Support Cancer Patients” on September 17th, 2016 with all of the money raised going to help the support groups at CCAC. I know first hand what a difference they can make in this battle against colorectal cancer.